and I’ve been an electrician in Leeds for over 25 years. My team offer a friendly, reliable and comprehensive electrical service across Leeds and Bradford. Fully trained and time served and with all the latest, most current qualifications and fully certified by the NICEIC to carry out the most rigorous electrical inspections on your home or offices. As fully NICEIC qualified electricians based in Leeds, we are able to undertake a range of domestic and commercial work. 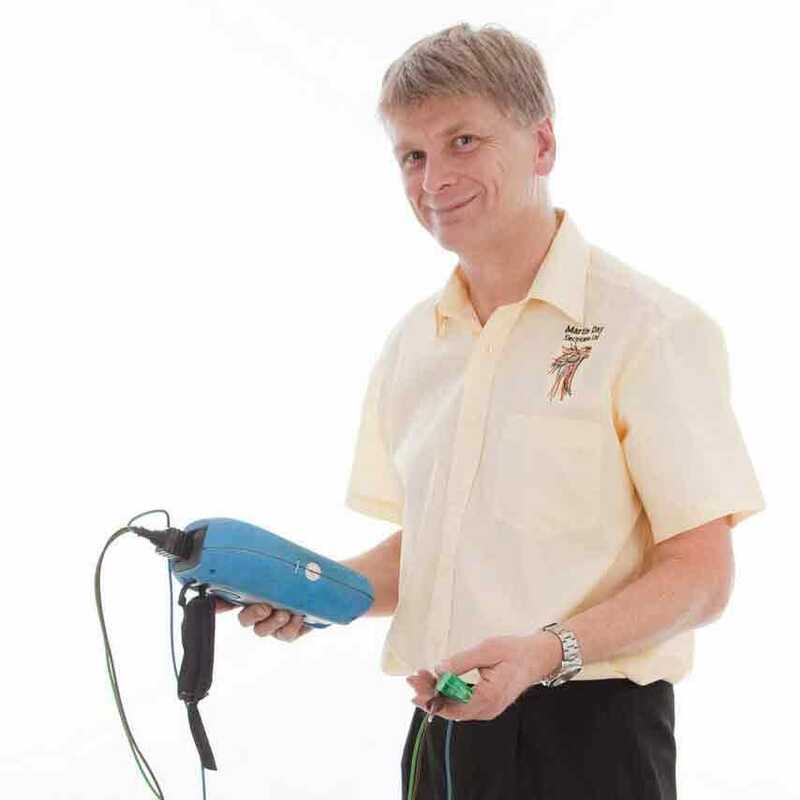 As well as the smaller domestic electrical jobs, my team can be expanded with a highly experienced and qualified workforce so that your shop, house, or workplace can be rewired, updated or maintained with a minimum of fuss. We always provide a free verbal quote and you will be offered dates for work to be started and completed. As an NICEIC domestic installer, we offer Leeds householders an assurance and accountability of the highest standards. £5 million of public liability insurance and a test certificate for all electrical installation work. All NICEIC qualified electricians have the most current technical back up and their customers are entitled to a full complaints procedure, not that you are likely to need it! 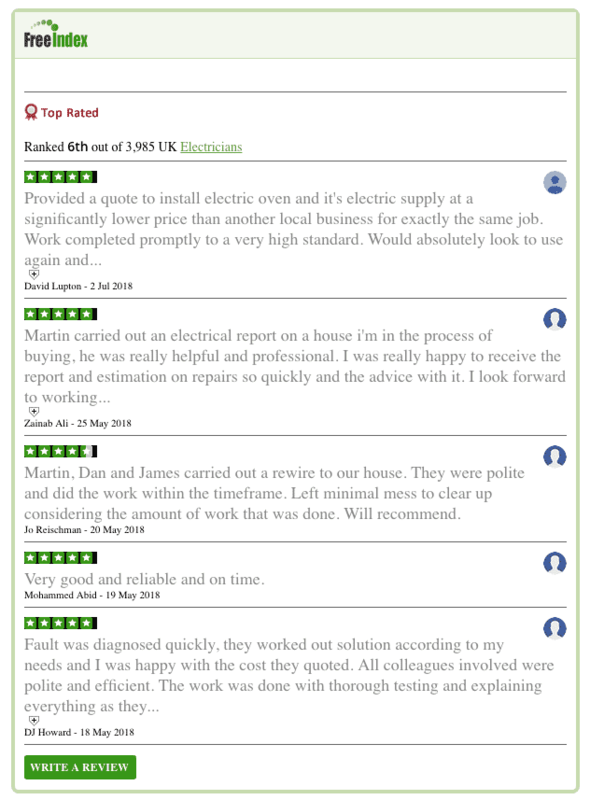 Like most electricians in Leeds, we depend on recommendations for much of our business. Good customer service is good for my business. And happy customers tell others so do try us – If you like the service we provide then do tell your friends and don’t forget to check out my feedback! Do you need a quote or just some advice? What areas of Leeds do we cover? If it’s an electrical problem, just ask! Reliable and comprehensive electrical service across Leeds and Bradford for domestic and commercial work. Fully trained with the latest qualifications and fully certified by the NICEIC to carry out the most rigorous electrical inspections on your home or office.